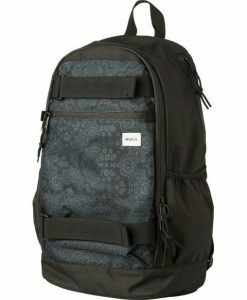 Unique, useful and trendy, skateboard backpacks are counted among those stylish and essential accessories designed to lend skaters a new style statement. 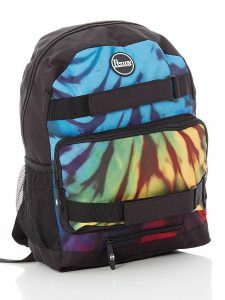 These backpacks are not only meant to fit skateboards but also valuables like laptops and safety gears. 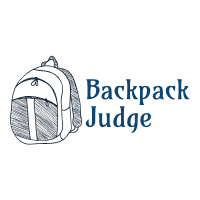 Different backpacks come in different forms and one can make the choice as per his/her convenience. The preferred backpacks have double straps for being carried easily on the shoulders. Whether you are going to work or just for fun, a skateboard backpack can be a smart addition to your list of accessories. If you are having plans to invest in a best skateboard backpack, do it with pleasure. Element Mohave brings a super backpacking solution for skaters who can now glide off the streets in a new look. This 600D polyester backpack comes with zippered exterior pockets, a zippered main compartment, and a sunglass pocket that has been tricot lined. 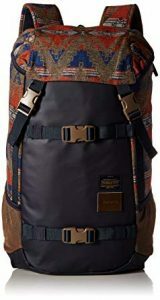 Equipped with Element applique and patch, front skate straps and customizable sternum strap, this longboard backpack is quite comfortable to wear for its mesh back paneling and can even help you fit up to a 15-inch laptop. Fits the user perfectly and can hold a good number of things like a water bottle, phone, helmet, charger etc. 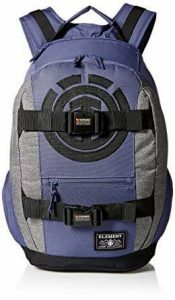 Polyester backpacks are now in fashion, and this stylish piece from the house of Eastsport is something to boast about. What makes it stand out is its multiple front zip pockets that make sufficient space for taking those little things. Where its interior tech pocket will be able to hold a 15-inch laptop, its king-size main zip compartment will be able to preserve the majority of your essentials. Even if you want to carry your skateboard, its dual front velcro straps will ease your job. Skateboarding will now seem so smooth and effortless with this Lid Skate Pack from Dakine. 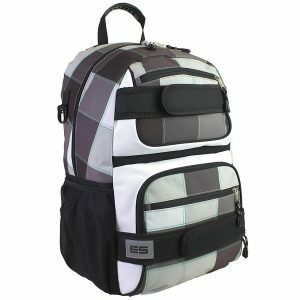 While adding all essentials into it, one can take his skateboard as well with the help of the skateboard carry straps. If you are having a 15-inch laptop, the padded sleeve will hold it quite comfortably. For strengthening more security, the side pockets are all zippered. As the sternum strap can be adjusted, users can take it easy on their backs and get going on trips. 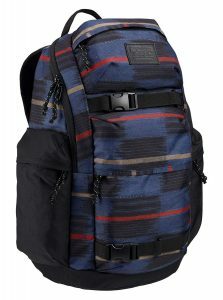 If it’s time for you to bid adieu to your old and worn out backpack, Nixon will surely take your eyes off with its Landlock Backpack II for men. Built from a combination of mostly wool and polyester, this sensational piece is big enough to preserve almost all your essentials you will want to carry to trips. Equipped with a dual snap buckle closure, it has a huge main compartment along with an internal flap for keeping your laptop. All your little things can also be kept safeguarded in its side zippers. 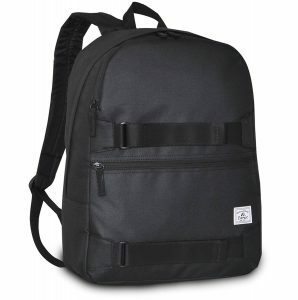 Short and sweet, cool and compact, the Slater Pouch Backpack for men can now be an amazing pick brought to you by Penny. What you will like about this backpack is its exceptional color combo. Moreover, what makes it a worthy choice for skaters is its external zippered pouch that can be pulled out to store Penny skateboards. Apart from having a padded laptop sleeve, it contains a padded iPad sleeve as well as a pocket for keeping your smartphone safe. If trips are part of your monthly routine, you must be in search of a backpack, and Burton will now leave you impressed with something exceptional. Have a look at this Burton Kilo backpack that features a skate-carrying function along with so many big and small compartments. On one hand, its polyester body makes it score high in terms of durability while on the other, it makes space to store 27L of water in it. Just push in all your cargo in its big main flap and get going with ease as it promises comfort for its ergonomic shoulder straps. 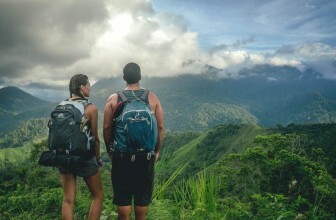 One of the advantages of buying a unisex backpack is that you don’t need to buy another one for your partner. RVCA brings you a Push Skate Deluxe backpack that can now be used by both men and women. Made of top-quality polyester, it has a zipper closure that makes it quite safe to preserve all your essentials. Its 13-inch shoulder drop makes it super convenient to carry while traveling. For being made of polyester, it can be washed easily with some water and soap. 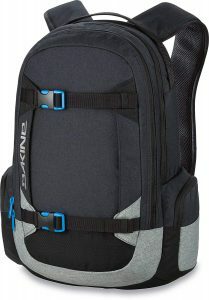 Now make mountaineering the most pleasant thing you can imagine on earth with this Mission backpack from Dakine. As it has been weaved out of good quality polyester, it would never undergo wears and tears despite using it on a regular basis. With a total of four pockets, one laptop sleeve, one iPad sleeve,and one front pocket, this longboard backpack will make almost unending space for preserving all sorts of essentials. 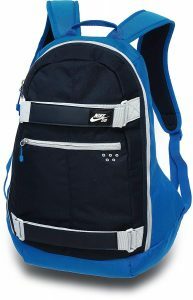 Skateboard enthusiasts who too are in love with Nike will take pleasure to own this Embarca Medium skateboarding backpack. 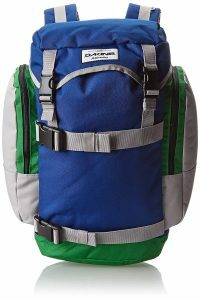 What makes it an amazing pick is its padded shoulder straps that can be adjusted as per the user’s convenience. Its premium quality fabric has been designed to keep the gears protected while its synthetic leather accounts for its look and longevity. There is an external laptop compartment that comes zippered where you can also keep other valuables safe. Have you ever come across any backpack that promises to keep your skateboard safe and secure? If you hadn’t, you must take a look at this Grip Tape Skateboard backpack from the house of Everest. Black in color, it comes equipped with dual hook and loop straps that ensure complete security to your skateboard. The main compartment features a dual zipper while there are two zippered pockets at the front. The shoulder straps are also curved so as to assure a comfortable fit to the user. 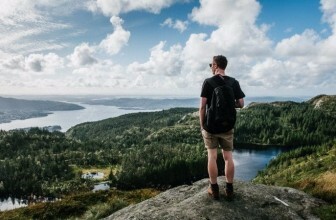 Get this fantastic backpack today and enjoy your upcoming trips with no worries. Backpacks are among the coolest things on earth, and they not only score high in terms of look but are also quite useful for short trips. Today, skateboard users too are going for backpacks. In fact, the skateboard backpacks now are so stylish and spacious that both amateur and professional skateboarders are taking pleasure to own these for convenience. In fact, a skateboard backpack is quite versatile and some can even hold a good number of essentials. Some people think that backpacks that are small in size look the trendiest. Believe it or not, the 21st-century skateboard backpacks come in diverse sizes that would let you fit safety equipment, knee guards, helmets etc. Some skateboarders also look for extra-large bags that can fit laptops, audio,and even video equipment. 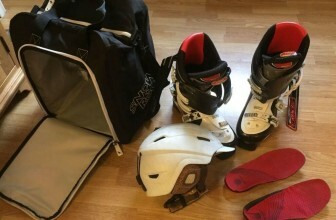 So, whether you have plans to capture footage of your skating activities or you want to carry your laptop at work, go for a large-sized skateboard backpack. The best longboard backpacks come with body straps. While some are equipped with two straps, some have single straps. Well, those with two body straps are the best in terms of support as one stays at the waist and the other at the breastbone. Therefore, if you are willing to carry a fully-loaded bag, the body straps will provide you with adequate support. Single-strap skateboard backpacks tend to swing from side to side and this is a big reason why the majority of skaters go for backpacks with double body straps. What’s interesting about skateboard backpacks is that they come in varying sizes to meet varying needs. For instance, there are skateboard backpacks that are designed to fit only the skateboards. Therefore, these bags are designed accordingly that takes the shape of a skateboard only. There are other skateboards that come with special pockets and compartments where you can push in little essentials for more convenience. Even you can keep your phone and wallet in skateboard backpacks. For skateboarders, it is important that they are carrying light weights on their shoulders. So, when it comes to choosing a skateboard backpack, make sure it is made of water-resistant materials that would protect it from entering water and making it heavier. Also, the lighter you stay with your backpack during the ride, the better and safer it is. Security is a huge factor while you are carrying a backpack and skating. So, what would give you ultimate security is a skateboard backpack with strong zippers. In contrast, skateboard backpacks with velcros or buttons are not that good enough to ensure comfort throughout your journey. Rather, these would let the things in your bag toss from one side to the other. Zippered backpacks will, therefore, always be the perfect choice for skateboarding enthusiasts. So, you are now ready to skate off the streets in style. Just put away your old bag and swap it with a new skateboard backpack that would leave the spectators watching you in awe. 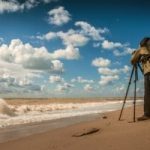 Make sure you are choosing a lightweight one that would get you going with no obstructions. Check the zippers without fail because those are the best means of security for your backpack. A new style statement is sure to upgrade your look and personality with a funky skateboard backpack. Try not to stuff in too many things in it as that would look hamper your skating spirit. Get your new backpack now and enjoy carrying it in the trendiest manner what you had always dreamt of. 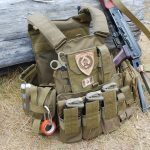 Top 10 Best Tactical Backpack Reviews 2019 Buyer's Guide!